Sangria's Bar - Welcome CABOHOLICS! Sangria's is conveniently located in the center of town, right next door to the Giggling Marlin. Stop in for a quick drink before you hit the big clubs! You just might end up staying, if not, stop in again when your on your way home! 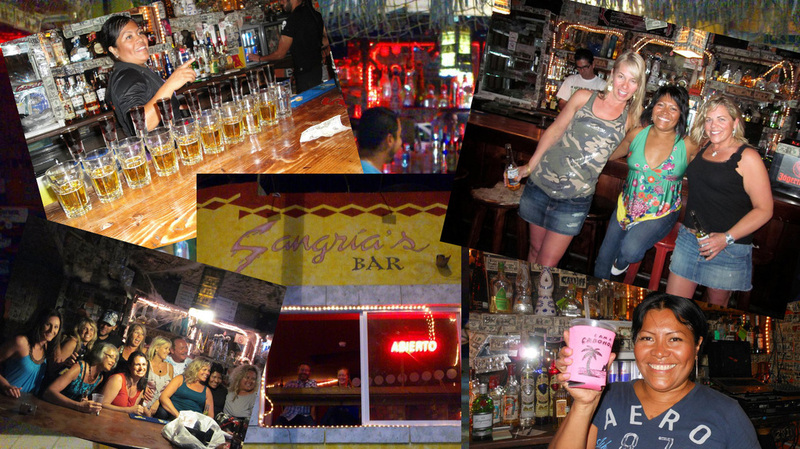 Sangria's is one of few little bars left in Cabo that we all fell in love with years ago, before the big clubs and bright lights! Don't let the size fool you, this little bar packs a lot of fun. Stop in any night and you'll more than likely be sharing shots with the owner, Adela! Click here to Find Sangria's Bar on FACEBOOK!